Code is here - plus new phytools build (phytools 0.2-32) to install from source. 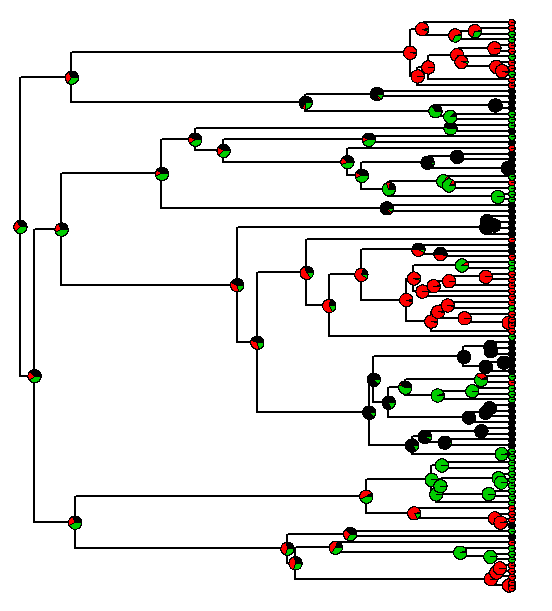 I wonder if it would be possible to apply make.simmap to an object multiphylo (to deal with phylogenetic uncertainty) and to summerize the outcome on a consensus tree. Check out http://blog.phytools.org/2013/04/using-makesimmap-on-set-of-trees.html. Thanks for the feedback! This summarizes the transition rates but seems to stop short of summarizing the outcome on a consensus tree? This can be done. Check out my previous post on the subject.